Stunning 5 bedroom, 4 bathroom home in the masterplanned community of Mulberry. Amazing midwest feel with tons of green and farmhouse flare. This highly upgraded home features a great room floor plan with a large kitchen island and tons of cabinetry and the storage you're looking for. 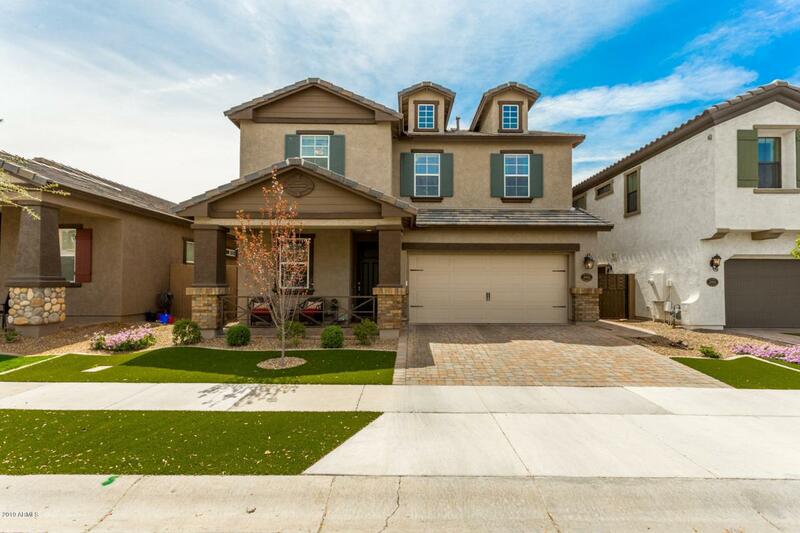 Great flow to this 2 story home and enough rooms and bathrooms for a growing family! Looking for a large master suite with dual vanities, soak tub, and huge walk in shower? Found it! Looking for a low maintenance yard with plenty of space to play? Found it! Upgraded synthetic turf in front and out back to accompany a nicely sized covered patio and front porch with ample seating. LOW LOW maintenance and low water costs! This is the house for you.Welcome home!